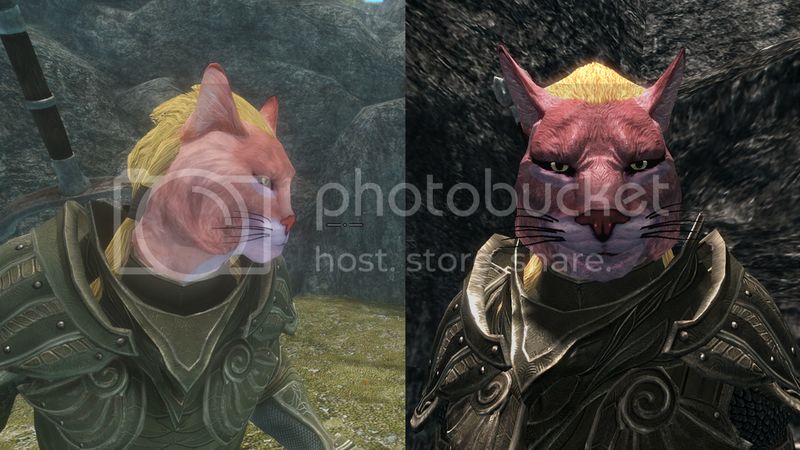 Help me bring Autism-Cat to Skyrim! I was recently reminded by that Grinny boi video of yours and well here 's what I had from an attempt sometime ago. I remember that I disliked how the texture came out pink and purple-y and was gonna redo it to fit your criteria of warm pink and white, and seeing it again I feel like there's too much circular tone under the eyes. I also had did some sculpting in racemenu but I just feel like it isn't autistic enough. Anywho, the left side is a depiction with some enb+bloom to get that oblivion feel and the right side with good old vanilla lighting. If you want I can pick it up again and make any edits in regards to the texture or head sculpt. this is beautiful D:, any chance you could export it :o? Edited by TomTesoro, 14 November 2018 - 03:29 PM. 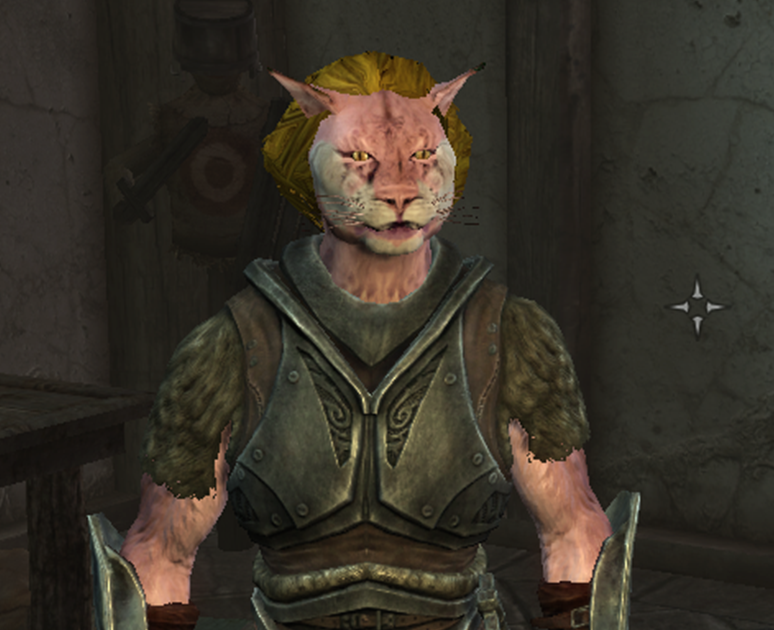 Is there an autism cat character preset for oblivion tho?